Motorized trail recreation in Wyoming is also very popular. 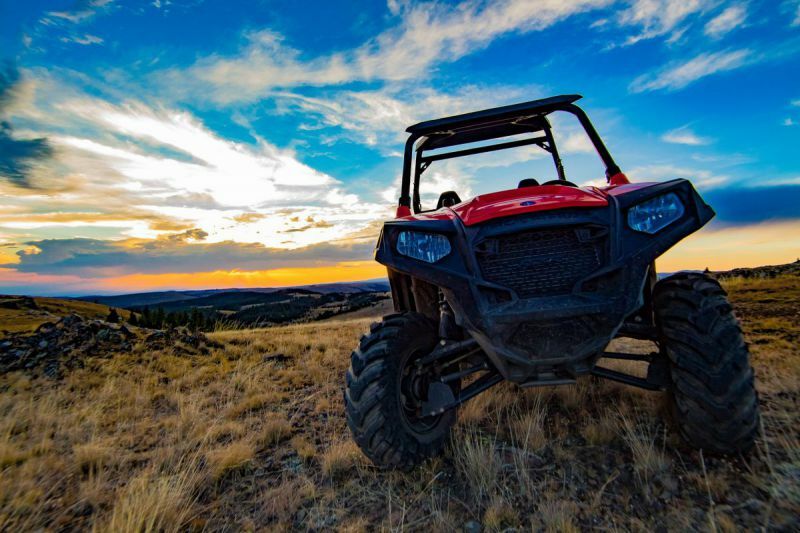 Included with this category are activities like: driving for pleasure, snowmobiling, and riding ORV’s (which include off-road motorcycles, ATVs and 4-wheel drive vehicles primarily used off-road). Many motorized activities take place in conjunction with non-motorized activities, such as camping, hunting and fishing. The increasing popularity of motorized trail recreation can also be gauged by the increasing demands placed on the State Trails Program. The USFS alone enrolled over 8,000 miles of roads in the program along with about 425 miles of trails, about 92 miles which are single-track trails for motorcycles- each year riding areas are improved and new opportunities are added. The BLM has enrolled 100% of their existing roads and trails which are estimated to be in excess of 40,000 miles. Additionally, 100% of existing roads and trails on State Trust lands and Game & Fish lands were also enrolled.